Alongside the launch of several new products, Renishaw will showcase a complete high-productivity machining cell, demonstrating to manufacturers how intelligent process control technologies are key to the operation of a successful smart factory. Renishaw is showcasing its extensive range of metrology products and services in Hall 3A, stand B103, alongside its additive manufacturing (AM) expertise on stand D102 in Hall 6. Renishaw will exhibit the four-laser RenAM 500Q, which is significantly improving productivity in the most commonly used platform size. It will also demonstrate its software for metal AM, including QuantAM build preparation software, remote process monitoring application, InfiniAM Central, and the InfiniAM Spectral application for live feedback software on energy input and emissions. By exhibiting a high-productivity machining cell, Renishaw will demonstrate how integrating smart factory process control can transform a machine shop’s production capabilities, improving speed, ease-of-use and flexibility. 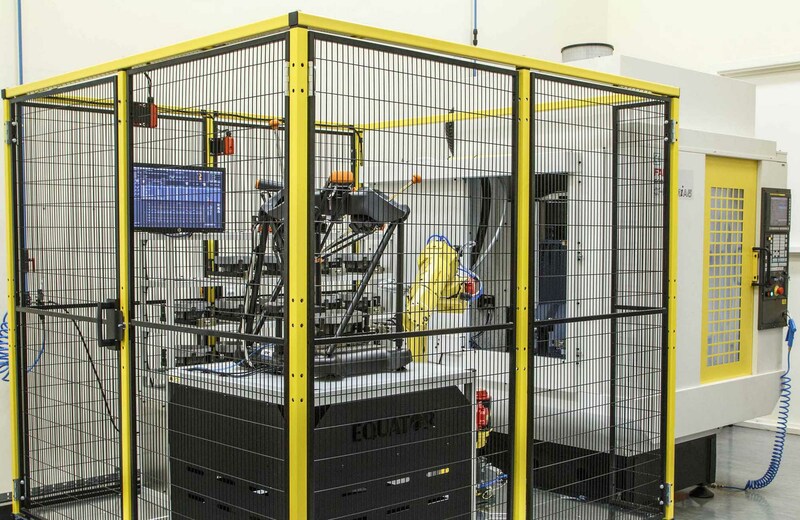 The cell highlights how CNC machining operations can benefit from high levels of automation and connectivity. Renishaw will demonstrate intelligent process control for larger parts, by exhibiting the new EquatorTM 500. The system enables the accurate gauging of larger parts due to a working volume of 500 mm in diameter and up to 400 mm in height, expanding the flexibility and range of applications the system can be used for. Visitors to Renishaw’s stand can experience the multi-sensor capability of the REVO® 5-axis measurement system. Its new SFP2 surface finish probe enables surface finish measurement to be combined with dimensional inspection to reduce time, part handling and increase return on investment. Renishaw’s new ultra-compact, highly repeatable radio probe, RMP400, will make its debut in India at IMTEX 2019. Perfect for small 5-axis machine tools, particularly in mould and die and aerospace applications, the strain-gauge probe gives a reliable touch-trigger solution for part setting, feature measurement and machine performance checking. At the show, Renishaw will highlight how it is enabling the world’s fastest workpiece set-up cycles on CNC machines with SupaScan and the latest OSP60 scanning probe. It will also demonstrate the benefits of its new CARTO 3.0 software for Renishaw’s calibration systems and a new version of SupaTouch, part of the Inspection Plus macro software. Visitors can learn more about Renishaw’s popular smartphone apps for machine tool probing, GoProbe and Trigger LogicTM.